Each year in the United States, thousands of motorcyclists are injured or killed in accidents on our roads and highways. In 2012, 4,957 motorcyclists were killed in motor vehicle traffic crashes, an increase of 7 percent from the 4,630 motorcyclists killed in 2011. There were 93,000 motorcyclists injured during 2012, a 15-percent increase from 81,000 in 2011. Safety officials report that in 2012, motorcyclists accounted for 15 percent of all traffic fatalities. According to information released by the Michigan State Police, 110 bikers died and another 2135 were injured in crashes during 2014. The danger of accidents and injuries to Michigan motorcyclists is greater when compared to other modes of transportation and miles traveled. Given these statistics, many Michigan motorcyclists will, at some time, be involved in a serious accident resulting in death or injuries. It is important that Michigan motorcycle accident victims know their rights and are represented by an experienced Michigan motorcycle accident attorney. If you or a loved one have been injured in a motorcycle accident, complete our online form or call the toll-free number of the Motorcycle Accident Resource Center of Michigan: The Law Offices of Henry M. Hanflik at 1 (888) 905-4632 or complete the online form for a free case evaluation. 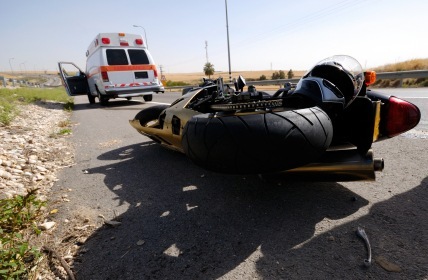 What You Should Know About Motorcycle Accidents? Q: What should I do before an injury or claim occurs? A: Bikers should always carry liability insurance. Always comply with the helmet law and ride safely. Understand your health insurance and how it will work if you are injured in a motorcycle accident. Meet with an attorney who specializes in motorcycle insurance claims to review the adequacy of your coverage. Q: I have been injured in a motorcycle accident. What should I do? Report the accident to the police and obtain a copy of the police report when completed. Also obtain names, addresses, and phone numbers of any witnesses. Get injuries treated and report all problems to doctor(s) and/or hospital emergency room. Photograph visible injuries to any person (even if just bruises). Contact your insurance company to report the claim and start the procedure for no-fault benefits, if eligible. However, be careful in filling out these forms. Contact a lawyer specializing in personal injury claims if you are uncertain. Get written documentation of work disability and any need for household services or nurse’s aide services from a doctor. Get proof of wages and income. Document mileage for medical appointments and prescriptions. Document changes to life and lifestyle – PAIN DIARY. Q: If I am injured in a motorcycle accident, am I eligible to receive lost wages and payment of my medical bills? A: Yes, you may be able to collect lost wages and receive payment of medical expenses under the Michigan no-fault law. Since a motorcycle is not considered a motor vehicle under Michigan law, motorcyclists are not required to carry no-fault insurance, but must carry liability insurance to be eligible to collect no-fault benefits. However, in order to qualify to receive Michigan no-fault benefits, the law requires that there must be evidence, of the involvement between the motorcycle and the motor vehicle that triggered the accident. If a motorcyclist is killed in a motorcycle accident, compensation may be available under the Michigan Wrongful Death Act. Q: Under Michigan law, whose insurance will pay my benefits? 1st priority is to the insurer (insurance company) of the owner or registrant of the motor vehicle involved in the accident. 2nd priority is to the insurer of the operator of the motor vehicle involved in the accident. 3rd priority is to the insurer of the operator of the motorcycle involved in the accident. 4th priority is to the insurer of the owner or registrant of the motorcycle involved in the accident. 5th priority is to the Michigan Assigned Claims Facility. Michigan motorcycle accident claims can be complicated. That is why you need to seek advise from an attorney who is knowledgeable in Michigan personal injury and Michigan no-fault law. Whenever you are biking on your Suzuki, Honda, Yamaha, BMW or Harley-Davidson, make sure you are covered by insurance. Your bike represents a big investment, so it’s important to keep it and you, the biker, insured. Q: Under the no-fault system, how long am I entitled to receive no-fault benefits? A: The answer to this question can be complex and shows why you should contact a lawyer soon after a motor vehicle accident. In short, certain benefits, including wage loss benefits and household service benefits, last up to three years after a crash, if a doctor says that you need those benefits as a result of injuries from a crash. Other benefits, including medical coverage, mileage reimbursement, and nurse’s aid or attendant care benefits, are lifetime benefits. This means that those benefits are available to you, if needed, for the rest of your life. Q: What are attendant care or nurse’s aide services? A: These are benefits paid to you or on your behalf if you have been severely injured in a motorcycle crash and a health care professional states that you require personal care and supervision, including such tasks as bathing, dressing, and personal hygiene, transport to a doctor, or assistance with walking, etc. Either a professional outside agency can be hired to perform these services, or, at times, family members and/or friends can be hired and paid to provide those services. Q: Do I have a motorcycle accident case? 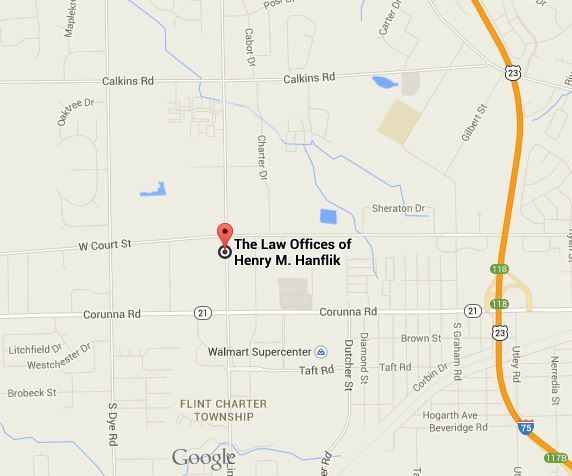 The Law Offices of Henry M. Hanflik at 1 (888) 905-4632.